When it came to starting a business, you knew it wouldn’t be easy. In this episode, we tackle one of the biggest challenges: funding. AB: Hello, Charlotte entrepreneurs, and welcome back to CBR’s B2U podcast, bringing business resources directly to you. As always, our goal is to connect you to the information you need to start and run a successful business. When it came to starting a business, you knew it wouldn’t be easy. Starting a business is anything but easy. Writing a business plan can be a challenge in itself, but you aren’t the only business owner who feels that way. Trust me. In fact, Charlotte SCORE offers one-on-one mentoring for business owners just like you. Today, we’d like to welcome Jim Weiland from Charlotte SCORE to our show. Jim is SCORE’s president elect and will be president of SCORE starting in October. Jim, thank you for being here today. Can you tell our guests a little bit about yourself and what you do at SCORE? JW: I’d be delighted, Andrew. Thank you. I’m a retired businessperson. I worked for IBM for over 40 years. I also own my own small business. I do consulting primarily in China. What I do for SCORE is…I’m a certified mentor and have been for 5 years, but I’m also responsible for volunteer recruiting for our chapter. We’re always looking for volunteers. We’re a chapter of about 75 mentors. We’re a mix of retired folks and people still in business or who are working. It’s one of our objectives to have people who are closer to the business community than perhaps many of us who are retired. We do about 1,800 individual clients a year. Our objective is to establish long-term relationships, and I would say probably 15–20% of those end up being long-term relationships. More than a half a dozen or so interventions. We also do workshops that provide start-up learning for small businesses as well as a series of very specific in-business workshops, such as You’re looking for capital; how can we help you? That’s kind of what we do! AB: That’s great! So you went from industry to retirement, but you’re mentoring folks who are coming up behind you. That sounds like pretty exciting work. Do you see a lot of people that remind you of when you were in the business? JW: Yes. Quite frankly, Andrew, the fun part of being in business was bringing younger people along, and that’s what I do here at SCORE—you know, helping people become successful. Mentoring is all about helping someone else be successful. Our objective is to have every client we work with be successful. That doesn’t mean that all end up in business, nor does it mean that they will all end up in the business they originally thought they were going into. With our advice and counsel, they’ll make fact-based decisions versus emotional ones. AB: Thanks for that wonderful introduction and great segue into our show. Listeners, this will be Part 1 in a four-part conversation with Jim, so be sure to stay tuned to the other three parts. And the first part is about funding. Many businesses come to SCORE for information on how to receive funding for their business. What information would you share with someone who’s asking how to get funding for their business? JW: Andrew, it’s an interesting question because probably half of the folks that we see, when they come in, that’s what they’re asking. How do I get funding? I’m here to get an SBA loan, or I need money to start my business. The first question I ask them, and our mentors ask them, is Do you have a business plan? AB: That makes a lot of sense. 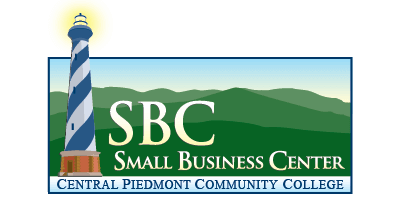 Earlier, in a previous podcast, we actually talked to Renee Hode at the CPCC Small Business Center, and one of our discussions was actually about building a business plan. We didn’t go into a whole lot of detail about the financial parts. It was more the components. But could you go into a little more detail about how the market projections and financial projections are very important for the funding piece? How did they do their projections? Have they done effective market research? Did they do both primary research as well as secondary research? Primary research is one of the most important things that has to be done. They talk directly to those people who they plan to have as their clients. The reason for this is a business should satisfy their clients needs, not what they think they want to sell or provide to them. Primary research is very important. Secondary research will give them the size of their market. Also, say they’re going to open a hair salon, secondary research will tell them if there are any other hair salons within a 15 minute driving distance. Things like that. What those projections do, Andrew, is to allow them then to do fact-based estimating, and that’s all it is—of what their revenue is going to be and what their expenses are going to be to generate that revenue. Why is that important? When an investor is looking at providing money for a client, they want to be able to make money. They’re going to look at the projections for reality and then for whether or not the business will be sustainable over a short period of time as well as a long period of time. AB: I imagine that all of the business owners who come to you, or the people who are ready to start a business that come to you, are on varying parts of the spectrum when it comes to business plan and market and financial projections. Can you kind of go through the differences if someone has already gotten a relationship with the bank or funder versus someone who hasn’t started quite yet? JW: Yes, I can. Let me go off on just a little bit of a tangent before we go there. If they don’t have a business plan, then SCORE is here to help them build it. We can do that in a number of ways. We have workshops that we provide, as I mentioned in the intro, but we also do, as you’ve indicated, face-to-face mentoring. What you typically do is chat with a client, say, “Let’s go do some research. Here’s where you can go. Go up and visit the public library in Uptown Charlotte. It is—in my estimation, and I’ve lived in different cities in the U.S.—the best small business library, but that said, what we then do is—once there’s a business plan, once it has some fact-based estimations—we then talk about things like Do you have an established relationship with a banker? I’m not talking about the teller they see if they go in the bank. I’m talking about spending time with a bank that you’re going to want to do business with as a businessperson, getting them to know you. The second thing we talk about is their credit score. I don’t want to know their credit scores. Very often, they tell me. That’s fine, but lending institutions today—whether it’s banks, credit unions, venture capitalists; it doesn’t make any difference—want to see successful, personal financial control, if that’s the right word. They’re looking for a credit score that’s in the low 700s at a minimum, and if they don’t have credit-worthiness at that level, then we discuss how they might go about rehabilitating their credit while still going through the process of planning their business, looking for where they’re going to get financing resources. A thing that often happens is clients feel that they have pre-set their financing needs, so they go off, and they haven’t prepared. And they get rejected. It’s okay to be rejected. The thing to do is to learn from the rejection, learn what you need to do, so what we can do is help our clients provide the right information at the right depth. They have to do the work, but we can give them guidance as to what it takes. SCORE does not provide financing for a client. We don’t go to a bank and say, “This client is worthy, We want you to loan them money.” It would be unethical if we were to do that. But we do know which banks are currently lending money. For instance, if a client wants to know who the real lenders are that are doing SBA financing, they can go on to SBA.gov, and in that website, they can get the list of the current month’s SBA-guaranteed loans. AB: Can you explain what an SBA-guaranteed loan is? JW: Yes! When you go to a bank or a credit union, you need to speak to your banker, not individual investors or angel investors. When you go to a lending organization, they’re going to go through your material. Let’s say you want $500,000. First of all, you’re going to have to have your own skin in the game. It needs to be about 20%. So for $500,000, you’re going to have to have $100,000 of your own money. But let’s say they like what they see, but they don’t like the risk. But they like you. They think you’re reliable, they see the sustainability, but they don’t want to take that level of risk. You have a set of criteria that you need to go through. Typically, there needs to be collateral. What that collateral is and how much it needs to be covered depends on each loan. But there does need to be collateral. What do I mean by collateral? Besides the money you’re going to invest, it’s something you put up against that loan to mitigate the risk. The SBA will then assess it. If you’re successful, they’ll guarantee it. It will cause a higher interest rate. Typically, and this is a guess at this point, one or two points. If you’re looking at a 6.5% loan, you could go 8.5%. Why is that? To mitigate the risk to the federal government, which is where the money is coming from. It’s all about lending institutions; in the end, they’re in it for a profit. And you never should forget that. They want to make money. They will lend money where they see their ability to make a profit. AB: That was a very good run-down. To recap the funding potential for your business, we’re starting with a business plan, which must have included good, financial projections. Lenders are also looking for good, personal fiscal responsibility through personal credit ratings and scores. Make sure you can get the personal relationships with lending institutions; not the teller, but the actual banker, which then gives you potential for your business. Does that sound like a pretty fair assessment? JW: Yes, well done. It’s not a daunting task. Our clients that are listening shouldn’t be frightened by it or worried about it. It’s a very methodical process that you need to go through, hitting all the checkmarks that the bank is looking for. If it gets to be SBA-guaranteed, hitting their checkmarks. If you do that, your chances of getting your loan are improved by 150%. Typically, why they get rejected—other than they just don’t qualify, and that happens—is because they haven’t covered all of the bases. AB: Cover all the bases. Well, we’re running out of time. Jim, thank you for being here with us today. Listeners, if you want to learn more about Jim or Charlotte SCORE, be sure to visit www.cbrbiz.com, or follow us on Twitter @cbrbiz. Stay tuned for Part 2 of our conversation with Jim, where we will be diving even deeper into how SCORE will help you start a business. Thanks again for tuning into CBR’s B2U podcast, bringing business directly to you, presented by cbrbiz.com. Until next time, we mean business.